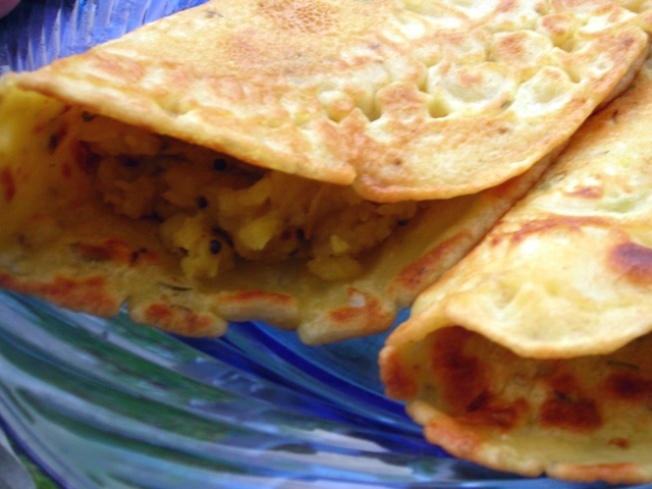 Tasty potato filled dosas were just one of the treats at the Outside Lands festival last year. Outside Lands will inhabit Golden Gate Park from August 14-15, and you may notice the festival's tagline has been changed to: Music - Food - Wine - Art, which would imply an effort to create some sort of epicurean pull. We've got to hand it to Outside Lands for avoiding the usual mysteriously sourced hot dogs and various items "on-a-stick" and stacking up vendors like Farmerbrown's Little Skillet and Namu (Korean tacos). No doubt this gives sales a boost as well. The list of music artists and advance two-day tickets won't be available until June 1, but you can peruse the full lineup of above-average edibles and drinkables starting now.